This Visual Riddle Quiz Puzzle is for Genius Observers. 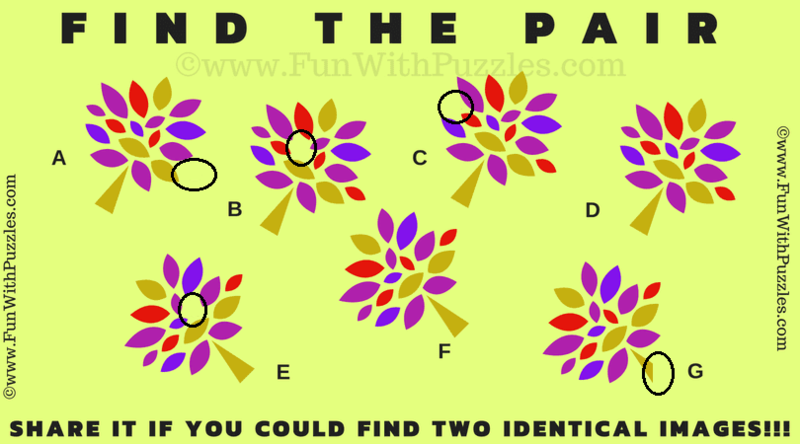 You need to have an Eagle Eye to solve this Visual Puzzle. 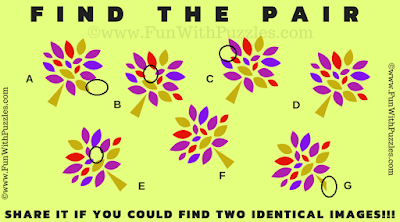 In the given Puzzle Picture, there are 7 similar looking puzzle images. Two such images are exactly similar to each other and these images make a pair. So are you genius observer who can find the pair in this picture riddle? Can you find the pair and solve this visual riddle quiz puzzle? Answer of this "Visual Riddles Quiz for Genius Observers", can be viewed by clicking on answer button. Please do give your best try before looking at the answer.